The Galaxy Note 9 has just been approved by the FCC, supporting recent reports that Samsung would be taking the stage on August 9 to unveil its next flagship. Well, the approval was granted to the phone on April 20 and it’s only the official documents that have been posted this week. But it’s worth noting that Samsung is now back on track with its flagship launches, following the delays the Galaxy S8 and Galaxy Note 8 went through as the company spent extra time polishing things up after the Galaxy Note 7 debacle back in 2016. The FCC has certified the international variant of the Note 9, which will carry model number SM-N960F (the Note 8 was SM-N950F). The dual SIM model (SM-N960F/DS) and a variant (SM-N960X) that should be released in Asian markets like Pakistan have also been certified. But, as is most often the case, the FCC isn’t offering any information on the device’s specs. The Note 9 isn’t expected to change much in terms of design, but rumors say Samsung could be equipping the phone with a 4,000 mAh battery and faster wireless charging. 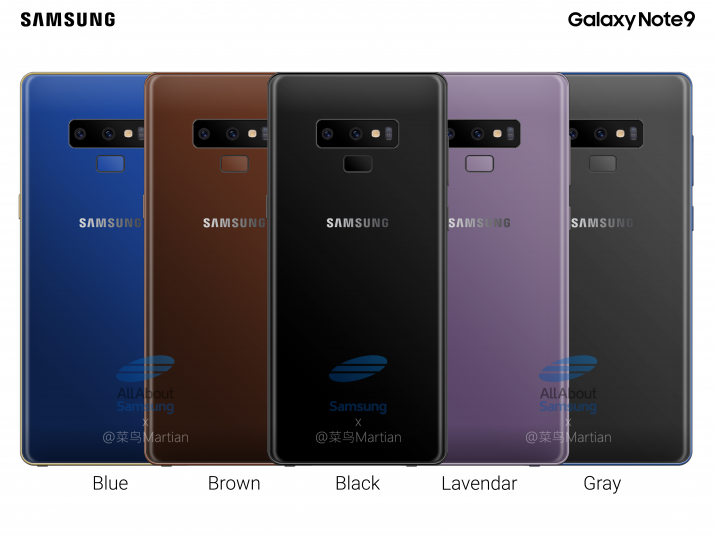 Other Galaxy Note 9 specs, such as the chipset inside or the camera sensors, are expected to be the same as the Galaxy S9+. Of course, the Note 9 will also come with an S Pen. Reports say the S Pen has been improved, but there’s no word on exactly what the improvements would be. Oh, and the phone could be offered in a variant with 512GB of internal storage. Whether this 512GB variant will be made as widely available as the 256GB Galaxy S9 remains to be seen. Last but not the least, Samsung will be debuting Bixby 2.0 – which will offer improved response times – alongside the Galaxy Note 9. The Bixby Speaker could be unveiled at the same event as well, with quite a few interesting features as we had pointed out in our exclusive report.